In China, learning spoken English is giving rise to a huge and growing market. For instance, in addition to English classes in public schools, parents send their children to about 50,000 for-profit training schools around the country, where English is the most popular subject. Instead of American Idol, on CCTV, the national government-owned TV network, they have the Star of Outlook English Talent Competition. This is possibly the largest nationwide competition in China. Last year, 400,000 students between the ages of 6 and 14 took part in it. This year, the competition is adding a virtual twist, and a startup based in Massachusetts called 8D World is at the center of it. 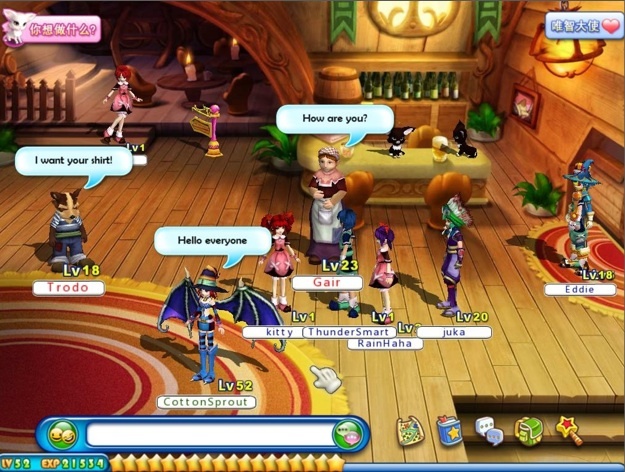 8D World runs a virtual world called Wiz World Online for Chinese-speaking kids who want to learn English. In what is a huge coup for the startup, this year’s CCTV English competition will use Wiz World Online as its official training and competition platform. Wiz World will be used to screen contestants and will be promoted to millions of Chinese viewers. Each player in Wiz World gets an avatar, but to get through the game and rack up points players need to pronounce words properly in English using a microphone. It is all software based, using speech recognition and pronunciation assessment software. The way Wiz World makes money is through subscriptions: about $20 a month or $160 a year, which is a lot in China, but less than the average $700 a year parents pay to send their kids to the training schools. 8D World also has partnerships with about 1,500 of those training school who resell Wiz World subscriptions and get a rev-share. Students competing in the CCTV competition won’t have to pay a subscription fee in the competitions themselves, but if they want to train for the event using Wiz World they will need one. The company plans to expand its English-learning virtual world to other languages as well. Next up will be Korean, and after that it may go after Spanish, Portuguese, and Russian. The company raised $7 million in March 2008 from Spark Capital and Gobi Partners.